Among the most popular of the queries presented to people with knowledge of kratom has to be that inquiring about its effects. What does kratom usage feel like? The answer to this, unfortunately, is not precise: like most other psychoactive substances, kratom can be experienced in slightly different ways by different people. 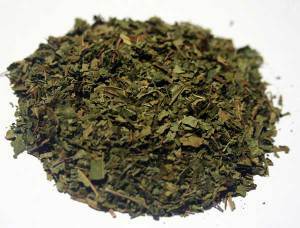 Of course, there are some generalities that may be noted by way of answer, but it is nevertheless important to note the individual/subjective nature of every kratom experience, as well as the individual nature of every experience’s description, given that different people have different vocabularies. The best way of describing kratom’s effects would be to say that the herb is capable of inducing a two-tiered—sometimes subsequent, often simultaneous—effect that combines elements of stimulation with sedation. For many, this means a boost in energy combined with an analgesic and relaxing or anxiety-relieving sensation. The curious combination has been likened by some to a cup of coffee, but with a gentler onset as well as comedown. Effects can change due to dosage, of course: higher doses tend to be more sedative and pain-relieving, which is where the herb comes in handy to those with painful complaints. Indeed, this analgesic faculty is what makes kratom so popular in informal medical usage not just in its native lands but also in countries such as the US. Its opiate-like pain-killing mechanism makes it an attractive option to those hoping to wrest themselves free of dependence on standard opioids like morphine, as kratom is largely reported in anecdotes and preliminary studies to have less addictive potential for most users, besides also having far milder withdrawal symptoms compared to other opiates. That having been said, it must be noted too that something rarely mentioned in most cursory examinations of the herb’s potential as an opiate substitute deserves more attention, given its importance to most users’ experiences: the euphoria it induces. For many opiate users, the euphoria they often get from morphine and similar opioids is as important as the pain relief. Pain of the type requiring opiate medication usually comes hand in hand with anxiety and depression, and people often end up becoming addicted to opiates even after the pain is gone simply because they are still medicating the remainder of the anxiety and depression. Kratom induces a mild euphoria similar to that produced by other opiates but also has a milder addiction level, which means that with smart usage, it can become the solution for those hoping to beat their pains and anxieties without having to sacrifice a little of their independence. To know more about understanding what kratom feels like to different people, and why opiate-users in particular claim to benefit from it as a replacement for conventional drugs they may be using for pain relief or management.